The troupe of the Mariinsky Theater will present a new version of Giuseppe Verdi's La Traviata. Unlike standard productions, young actors will take to the stage. The performance is part of the cultural program of the St. Petersburg International Economic Forum. The British theater director has also staged Benjamin Britten's A Midsummer Night's Dream, at the Mariinsky, for which she was nominated for a Golden Mask Award in the Best Director category. 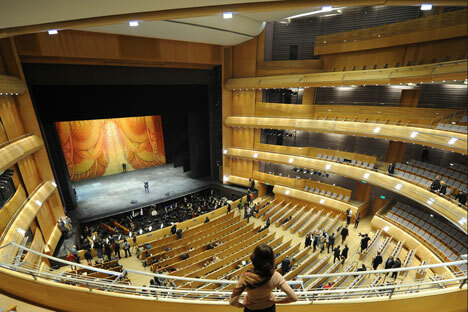 Solti was invited by Mariinsky's artistic director, Valery Gergiev to direct La Traviata. He is the musical director of the production and conducted the premiere. The scenographer and costume artist is Isabella Bywater, who has directed Faust at the Mariinsky. Three teams of singers will perform the opera's leading roles. Premiere shows took place on June 17, 18 and another performance is due on June 21. La Traviata was first staged in St. Petersburg in 1856 by an Italian troupe. Twelve years later it was performed at the Mariinsky in Russian. The theater has staged the opera half a dozen times, most recently in 2002, a production that remains part of the theater's repertoire.